The following are written by leading authorities. Sometimes they offer talks and seminars - all are worth hearing in person and if you have the means, worth consulting. Donna Eden is based in the USA. Alla Svirinskaya is based in the UK. 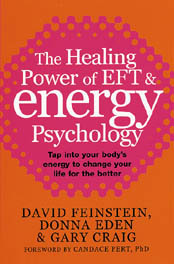 The healing power of EFT and energy psychology. Alla Svirinskaya, a medically trained fifth-generation healer, she has a private healing practice in London. Her book gives an excellent step-by-step programme on healing yourself to improve physical, mental, emotional and spiritual well-being. She gives a simple, but thorough explanation of life energy and detailed detoxification programmes. Available through www.tachyon-partners.com - user name Gail. At the beginning of this book it says: “In this book Andreas Moritz reveal the laws responsible for creating health, illness and aging…it includes a complete self-help program, part of which is derived from the ancient medical system of Ayurveda” (ancient Indian system). Like Donna Eden and many other healers, he also uses applied kinesiology to check out the body’s energy system. 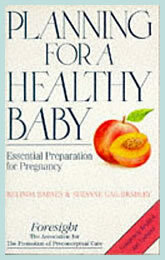 The book is also excellent on detoxifying the body and covers quite a lot about herbs. Nutrition is the underpinning of any health programme, with clean wholefood being vital for improving energy levels. The list of good books would be endless but the following are an excellent start. The important thing to remember is that we are all biochemically different so will have different needs and react in different ways to foods. I consider that the leading medical authority on nutrition for physical, mental and spiritual well-being in the world is Dr Gabriel Cousens. 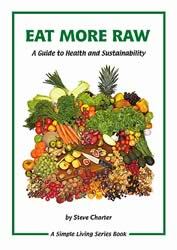 Check out his books for the best of information on nutrition. Spiritual Nutrition. Six Foundations for Spiritual Life and the Awakening of the Kundalini. The authors claim to have written “the astonishing truth about the world’s greatest food”. Now is that not just what any chocoholic wants to read? 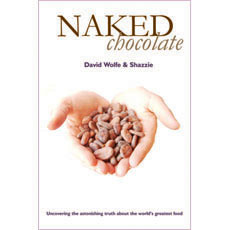 Find out how you can eat chocolate to enhance your health. This is the real thing – healthy recipes without using unhealthy ingredients. Can you resist “Violet’s violent end” or “Mr Slugworth”? Beauuuutifully illustrated with irresistible photographs of the recipes and good research to back the health claims. Dr Bernard Jensen is also worth a read. It is said that a person practising these 5 ancient Tibetan rites, which stimulate the energy centres, will look and feel younger.. They take only 10 minutes a day. In making any change you will possibly have to move beyond your personal limitations and step out of your comfort zone. These books offer help in doing this. Gulp. The seven-day crash course to master fear and break through any challenge. 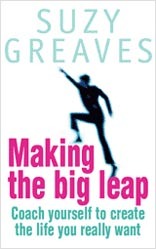 Making the big leap. Coach yourself to create the life you really want. By Suzy Greaves. New Holland Publishers. 2004. For really big life changes – career, personal life, Suzy has written just the book. Nicky Hambleton-Jones credits this programme for completely changing her life from misery to joyful success. Suzy also runs excellent support on telephone classes. Her next one is in November – check out www.thebig-leap.com for details. on www.cygnus-books.co.uk. or 01550 777 569.